All your passwords, securely stored and automatically sent to any device you wish to use, so you don't have to remember or type them ever again! Passfort is a security device, designed as a keychain so you’ll always carry it with your keys. It manages your passwords completely offline, supports all your devices, mobile or computer, and incorporates several mechanisms to keep your data safe in cases of lost or theft. 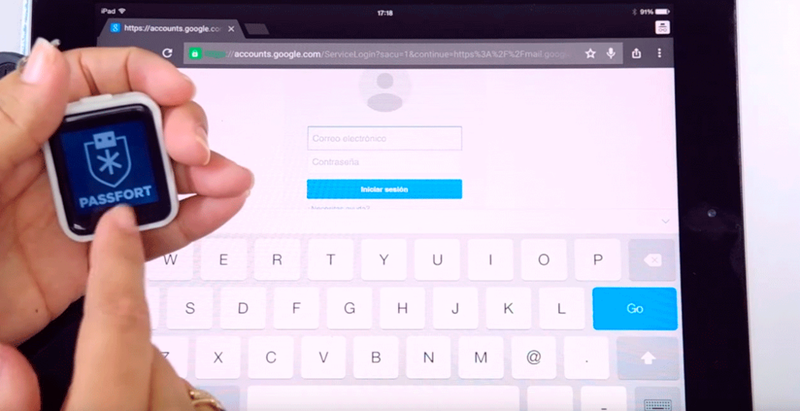 NO WORRIES, ACCESS YOUR ACCOUNTS ANYTIME, ANYWHERE! Think about it: your email, social networks, online shopping, banking; also some mobile and desktop Apps; all of them require Password authentication. 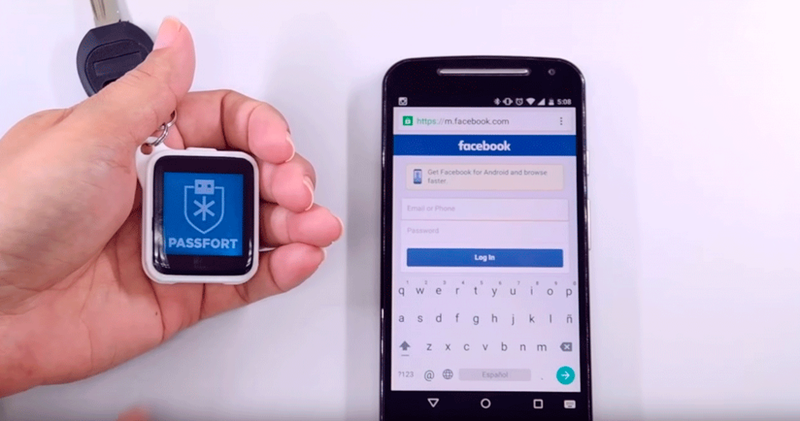 PASSFORT stores up to 128 accounts with unique and secure passwords you don't even have to remember or type ever again! Your PASSFORT incorporates several security mechanisms to protect your data. Should it falls into the wrong hands, fear not, all your data is encrypted using AES-256, the same used by U.S. government security agencies to protect top-secret data. It is a smart keychain that you’ll always carry with you, just as your car, home or office keys. It is a portable safe box for all your digital accounts’ credentials. It works with all your everyday devices and doesn’t require you to install anything to use it.